It’s my fa vorite time of year! Not just for all the Halloween goodies at my disposal, but I’m off to selling at some of my favorite stomping grounds! 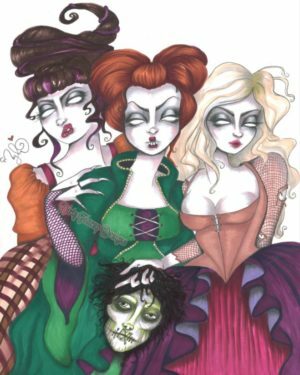 I’ll be debuting lots of new spooky pieces this year – the first of which is my take on the Sanderson Sisters! I’ve always looooved Hocus Pocus & of course, had to add one of my favorite dead guys – Billy!